Ginger has been linked to a number of health benefits -- including ways to help you get a flatter stomach! While diet and exercise certainly play a role in losing weight and living a healthy lifestyle, ginger can also be a helpful tool. You may be surprised by some of the natural benefits of this spice. According to WebMD, in addition to being used as a flavoring agent for food, ginger also has been used for centuries to promote digestive health. Read on to discover how this ingredient can help you reduce belly fat. The anti-inflammatory agents found in ginger can help reduce swelling or pain found in your joints. How does this help with getting a flatter tummy? WatchFit indicates that because ginger root helps keep blood vessels from getting inflamed, it actually increases the blood flow in your entire body. The result? The movement of blood increases your body heat and helps you burn more fat. LiveStrong indicates that ginger can help promote healthy digestion, which leads to less overeating, bloating and other stomach issues. It has been linked to lowering cholesterol and stabilizing blood sugars, which can help curb your appetite. A few sips of warm ginger water before eating a meal can help boost the digestive process. According to LiveStrong, ginger stimulates the body like caffeine. Simply consume 4 grams per day of ginger for the increase in energy. However, LiveStrong warns that if you are pregnant, you should consume no more than 1 gram per day. The elevation in energy can promote a more active lifestyle and help you burn fat. High cholesterol is generally a side effect of weight gain or obesity. WatchFit says that ginger can help lower the levels of serum and hepatic cholesterol levels. This can help protect your body against high-cholesterol-related medical concerns such as heart disease. With better health, you can be more active and lose weight. LiveStrong indicates that high cortisol levels can increase belly fat and promote weight gain. Cortisol is a steroid hormone that is used to regulate energy in the body. However, high stress levels can cause too much cortisol production in the body, which triggers the development of more fat. The components found in ginger can help with cortisol reduction so that the body does not increase fat. 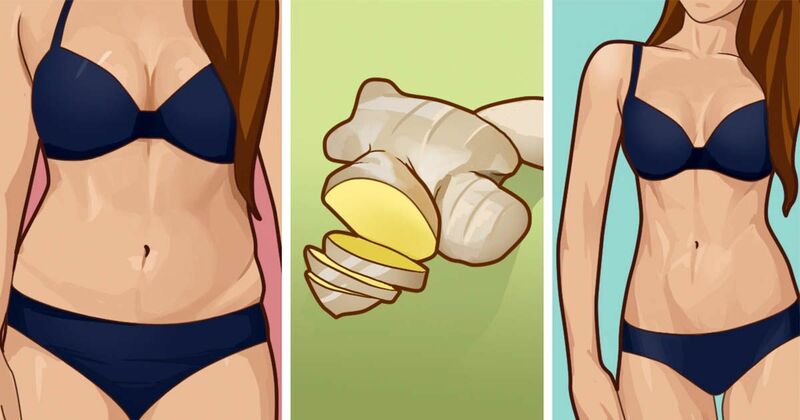 How will you use ginger to help you burn belly fat? Share with your friends to see which tips they use.